The city of Reading is the fifth largest city in the State of Pennsylvania and the county seat of Berks County. It is home to one of the most impoverished populations in the nation, which includes thousands of senior citizens. 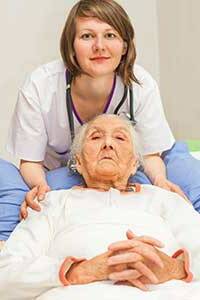 The Reading nursing home abuse & neglect attorneys of Nursing Home Law Center LLC believe that every senior has the right to fair and ethical treatment, and aggressively pursues action against the facilities that would take advantage of and mistreat our loved ones. We have provided information on the leading nursing homes serving the Reading area in hopes that it will allow you to make more informed decisions regarding who to trust with the ongoing care of those who matter most in your lives. The federal government through Medicare gathers information each month on all nursing homes in Reading, Pennsylvania based on data collected through investigations, surveys and inspections. Currently, the national database reveals that surveyors found serious violations and deficiencies at one (3%) of the thirty Reading nursing facilities that provide their residents substandard care. If your loved one was harmed, injured, mistreated, abused or died unexpectedly from neglect while living at a nursing home in Pennsylvania, your family has rights to ensure justice. We encourage you to contact the Reading nursing home abuse & neglect attorneys at Nursing Home Law Center (800-926-7565) today. Schedule a free case evaluation and let us discuss your legal options for obtaining monetary recovery through a lawsuit or compensation claim. Reading is situated along what was once a strategic transportation route and was the city that leant its name to the old Reading Railroad, which has since gone under during the economic downturn. Data from the last national census suggests that its population of nearly 88,000 residents is the most impoverished in the country. The senior population makes up around 9.3% of the total and there are a growing number of residents nearing the age of 60. The Berks County Area Agency on Aging is responsible for providing services to the elderly and those who are approaching the age of retirement. Its services are offered to anyone who is 60 years of age or older and include the assessment of seniors’ needs, referral services, protective services, social services, recreational activities, nutrition and education. There are ten centers located throughout the greater Reading area and you can visit http://www.co.berks.pa.us/aging or call (610) 478-6500 for more information. Below you will find information on the nursing facilities that serve the Reading area which has been compiled by our Reading nursing injury lawyers using the latest data found on the Medicare website. For more specific information about any of the facilities listed, such as the reasoning for a poor score, you can use the nursing home compare tool offered at https://www.medicare.gov/nursinghomecompare. We’ve highlighted the scores of each individual facility and which concerns are most prevalent so that you can better determine which facility will provide the best environment and quality of care for your loved ones. Primary concerns: This facility received the lowest score possible for its staff quality, which is a driving factor behind its mediocre scores in other areas. It has only minor health inspection deficiencies, but could stand to make improvements to its quality measures in addition to hiring more quality staff. Primary concerns: This facility has above average or excellent scores in all areas except for its staff assessment, which has returned an unacceptable score. Low staff levels can lead to concerns in other areas, so it may only be a matter of time before this facility’s scores drop. Primary concerns: Moderate health and sanitation issues and subpar staff levels are the primary detractors for this facility, which has a perfect quality measures score. Primary concerns: Like other facilities in the area, this center has moderate staffing and health inspection concerns that prevent it from receiving a perfect grade. Primary concerns: This facility has a respectable health inspection history but its staff levels are considered below average and quality measures require improvements. Primary concerns: Subpar scores in every area of assessment make this facility one to avoid completely. Its staff levels, quality measures and health inspection history are all concerning. Primary concerns: There is nothing special about this facility. Its scores are completely average, meaning that while things could be much worse, they could still be better. Clients often ask our Reading nursing injury lawyer what to look for when assessing whether their loved ones are being mistreated and how to find a proper home for them. The most common nursing concerns listed below will help you evaluate whether your loved one is receiving the care he or she deserves and also whether a facility is worthy of consideration when you are looking for the right environment for your loved one. Environmental hazards such as poor sanitation and obstacles that cause a slip/trip risk. Poor hygiene, sanitation and food preparation can result in the spread of communicable illnesses and infections and patients who are poorly supervises or exposed to obstacles in their common paths of travel can become injured in falls. The ability to care for each individual. Understaffing has become a serious concern ever since for profit corporations have entered the nursing care market. Rather than placing due care on quality of care, they try to keep their margins high, resulting in skeleton staffs that are stretched for resources. If a facility is unable to provide an individual plan of care for your loved one or lacks the resources to attend to all of its residents, look elsewhere or remove your loved one from the home. The management and training of staff members. Ensuring that staff members are of high moral character and receive proper training is extremely important in the nursing care industry. When a facility fails to take appropriate actions to remove staff members with histories of abuse, fails to perform proper background checks and doesn’t hire enough staff members, it places your loved one at risk. If you suspect that your loved one is the victim of abuse or neglect, Nursing Home Law Center LLC can help. We are a leading personal injury law firm that has assisted countless clients across the nation in seeking the compensation and justice that they deserve when the negligent and irresponsible actions of others cause them harm. Contact us today to arrange a free consultation with one of our qualified Reading nursing home abuse attorneys to review your legal options and launch an investigation into how your loved one is being cared for. Our lawyers only receive a fee upon successful recovery of damages, so if we are unable to collect on your behalf, our services won’t cost you a thing.